Governor Amado Espino III said Alaminos City Mayor Arthur Celeste can attend his State of the Province Address (SOPA) on March 22. 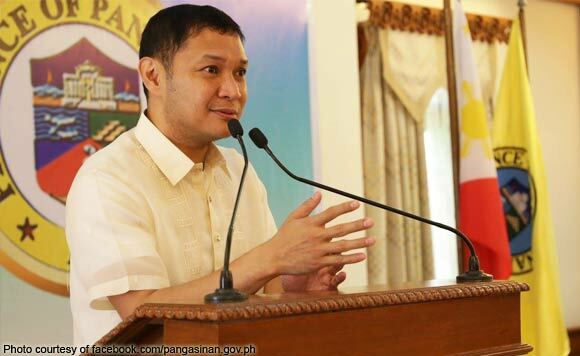 The Pangasinan politiko said Celeste can “listen” to him discuss his accomplishments there. Espino has refused Celeste’s challenge to a debate. But Celeste said he will not attend Espino’s SOPA so he will not be distracted. “For sure the people’s attention will be on me,” he said. Celeste also said Espino should not be afraid to debate him. “That is where we will present our programs for our province. You present during the debate your accomplishments so the people may know,” he said. “Look at the meaning of debate in the dictionary. A debate is a discussion. It has it rules and guidelines that would be followed by opposing camps. It is here where we can discuss real issues, not black propaganda,” Celeste added.